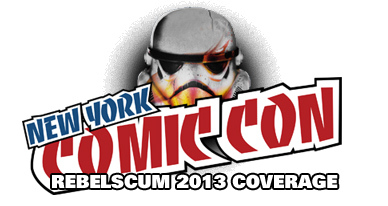 The 2013 New York Comic Con has brought the Rebelscum team back to the Big Apple to give you the complete rundown on all the major Star Wars licensees and events at the East Coast's biggest pop culture event of the year. As always, you can find all the non-Star Wars coverage on Cool Toy Review. Abrams Books' Star Wars: Frames is a follow-up to the visually stunning, limited edition release book set featuring George Lucas' personally selected stills from all six films in the Star Wars saga. This more affordable version of Frames --usually referred to as a cheap edition, but in this instance is by no means cheap-- features the same 1,472 photos (368 pages per book) in two hardcover books (previously six) housed in a cardboard cover (instead of a wooden box) as the $3,000 version released two years ago. Frames is set for release November 5, 2013 with an MSRP of $150. 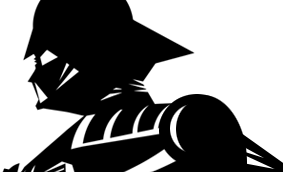 Follow the above link to see what’s inside. There's no denying that Diamond Select's Darth Vader and Boba Fett bottle openers will be the talk of the party. Click though for a closer look these ultra-cool Star Wars party tools. Continuing To Replicate Awesome Helmets! eFX's Biker Scout, Luke X-Wing, Wedge X-Wing and Stormtrooper helmets were all on display at their booth at New York Comic Con. Click through for a closer look. Star Wars meets cute zombies! Why? Because we all love Zombies, right? Check out the super-cool, super-cute designer cross-overs at the Frombie booth at New York Comic Con 2013. Get a sneak peek Hallmark's 2014 Star Wars ornament lineup, as well as a look at their 2013 New York Comic Con exclusives. It's Wednesday Night in the Big Apple. The 2013 New York Comic Con is only one sleep away and our own Rich Alot, along with his partner in crime Angie Green, have already hit the ground running. Follow this link to have a look at a gallery showing off all the Star Wars related items on display at Hasbro's T'was The Night Before... party. Head over to Cool Toy Review to see what else was on display. Mara Jade ARTFX Bishoujo Revealed! The beautiful Mara Jade Bishoujo Statue headlines Kotobukiya's New York Comic Con 2013 booth, while their ARTFX+ line continues to grow in ranks with the addition of some incredibly weathered Sandtroopers, a finalized General Grievous and the announcement of Han, Chewy, Luke and Leia to the line. As always, Koto's novelty items didn’t disappoint with a new wave of business card holders and light-up chopsticks in the works. Follow the link to see the full gallery of photos from the Kotobukiya booth. Tamashii Nations' had their perfect model, die-cast, sixth-scale C-3PO figure on display at New York Comic Con. While we've featured this piece before in a YouTube video review, we thought this was the perfect opportunity to showcase this amazing piece. The team at Tamashii informed us there are still limited quantities of the figure available for purchase and we're keeping our fingers crossed for the R2-D2 figure Tamashii teased at last year's NYCC. Topps' Star Wars Illustrated trading card set--a series based on the Star Wars: A New Hope radio drama--launches this November and thanks to the team at Topps we have a first look at some of the premium sketch cards inserted into random packs. We've also confirmed that Topps will wrap up the original trilogy 3D widevision card series with a Return of the Jedi set offered as an online exclusive sometime next year. Click the thumbnails above for a closer look at their display.